Graphic a la Design - BRING IT ON, 2017! Welcome, 2017! It hardly feels like two years since we decided to expand. It is said that 96% of businesses fail within 10 years. Not us! — the hunger was real and our expansion was a success. Through staying true to the company mission and maintaining our high standards, Graphic a la Design has continued to be, now more than ever, a trusted business that adds value to our clients. So, what’s next for Graphic a la Design in 2017? Business has been perpetual; in fact on some days it feels like we are putting in more hours than there are in a day! We’re not complaining — we love it! We have had a loyal client base and a steady flow of referrals. 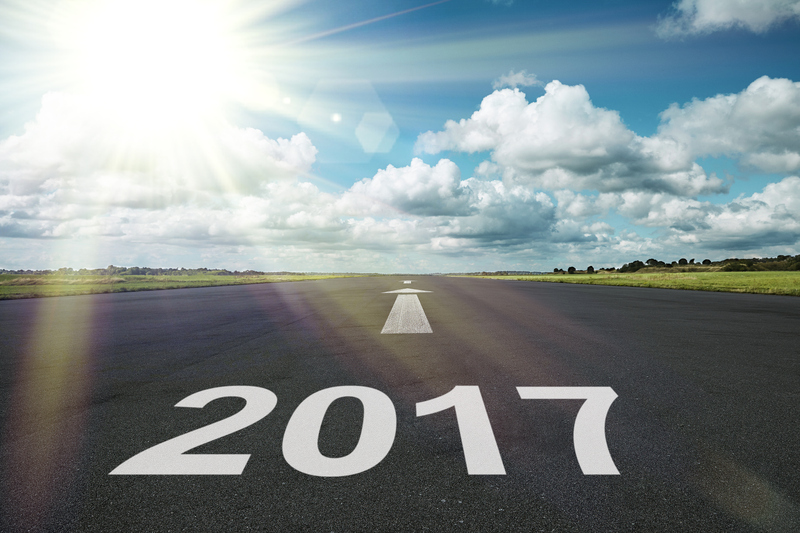 So, you guessed it; 2017 brought in, another expansion — there is no other way but upward and onward! We’re ready for you. We recently launched our updated website and social media networks to better serve our clients and to reflect our brand and to highlight our work. Graphic a la Design’s team brings qualified professionals with decades of expertise to the table — all who share the same philosophy: to create affordable, creative and responsive concepts that drive successful businesses and help clients stand out; all in the right places. And, just as we believe it is important for us to get to know you, we believe it’s important for you to get to know us. Here’s a peek at who is making the magic happen for Graphic a la Design. Lori, (that’s me). As the owner and creative director, I’ve been working for over 22 years to make clients and their businesses and/or brands look great. My passion and eye for design means that I work hard to help brands put their best foot forward. Joline’s approach to illustration and design is sophisticated and clever. She combines arts, design and creative skills to develop ideas and produce original visual images. Jenna adores copy — researching, thinking, writing and tweaking — and it’s evident in all that she produces. Writing with an agenda in mind she uses her craft to push a product or service. Diana is a lover of the written word and a social media addict. She loves combining the two to help clients create an online presence that stands out and rings true to their mission. Jasmine is the master of translation – there’s no room for error with her on your project! She will ensure your message is accurately translated from English to French and/or Spanish, completely error free. Gina loves numbers and “the books”! She stays on top of the accounts, ensuring everything behind the scenes is running smoothly. As you can see, we are serious about delivering great outcomes for your business and brand. For us, it is important for our existing — and potential! — clients to know we are now fully capable to help move your business forward, adding value and growth. Just like we did! Promoting a business can bring up more questions than answers. Whether starting out or making a few changes to your brand, at Graphic a la Design, we have the experience to help — and, we’re ready for you!